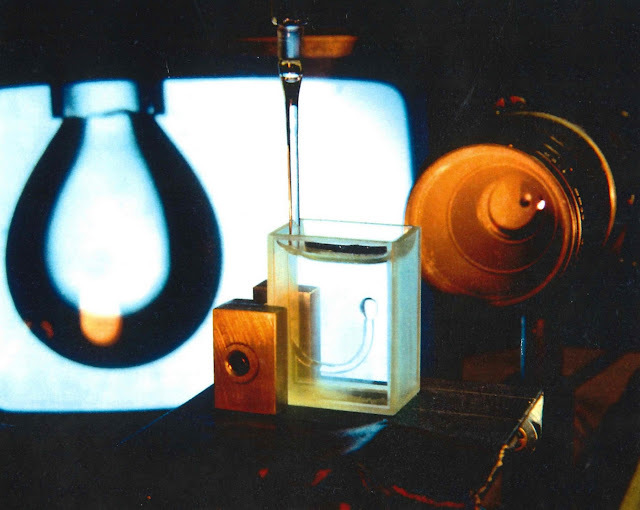 Shown above is an experimental apparatus that I built for my BSc Chemistry degree project in 1991. 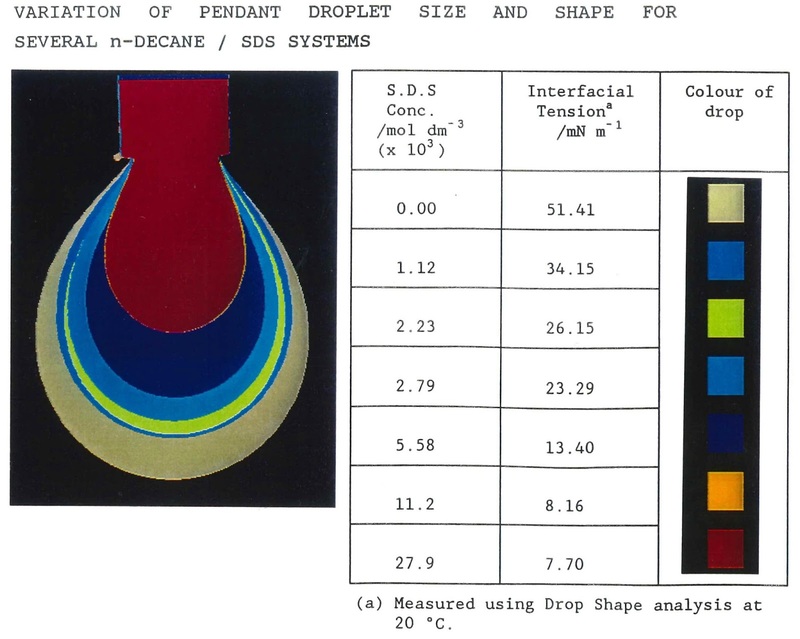 It shows a droplet of n-decane oil that is hanging "upwards" in water. The front of the lens and video camera that is being used to image the droplet is shown, and on the monitor at the back is the live video image of the droplet. The project involved building this apparatus, implementing an image analysis method to capture the co-ordinates of the shape of the drop, and writing a non-linear least squares fitting code in C to take the shape of the drop and estimate the interfacial tension between oil and water using the method of Jennings & Pallas (1988). Below is a visual summary of some of the data from the project.